Isolated and far from his native Iran, Ushman Khan has worked hard to build a wealthy, reliable clientele for his wares: exquisite hand-woven rugs from his home city of Tabriz. With perfect rectitude, he caters to clients like New York's Upper East Side grand dame Mrs. Roberts, who plies him for stories about his exotic origins and culture to feed her own imagination. But like many immigrants, he's living only half a life. He dreams of the day his beloved wife, Farak, will be able to join him in New York and complete his vision of the American dream. But when she tells him that she is leaving him for another man, Ushman is shattered. He begins to wander aimlessly through the terminals of JFK Airport, imagining a now-impossible reunion with Farak. Unexpectedly, he meets Stella, a Barnard College student who has just bade farewell to her parents en route for an Italian vacation. After Stella, isolated in her own way, finds herself at Ushman's Manhattan store, they embark on an improbable and powerful romance. Together this American girl from the Deep South and the Iranian aesthete form a tender bond that awakens them both to the possibility of joy in a world full of tragedy. 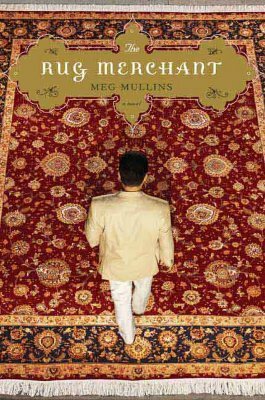 "The Rug Merchant" is an inspiring, character-rich tale about shaking free from disappointment and finding connection and acceptance in whatever form they appear. And in a novel of many extraordinary pleasures, Ushman Khan stands as one of the great characters in recent fiction.